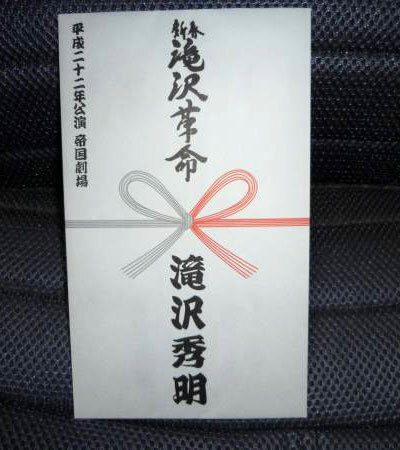 Fans received the 五円/ご縁 otoshidama from Takki again this year. 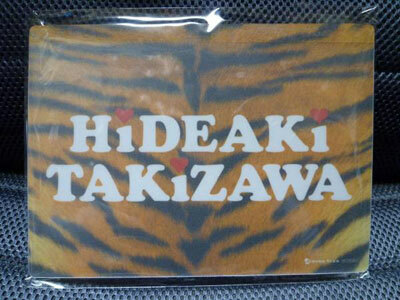 Fans who purchase more than 1500yen of CD/DVD at the booths will receive a mousepad. 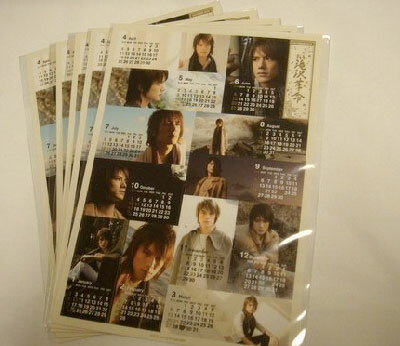 They were also selling a sticker calender (similar to last year’s). 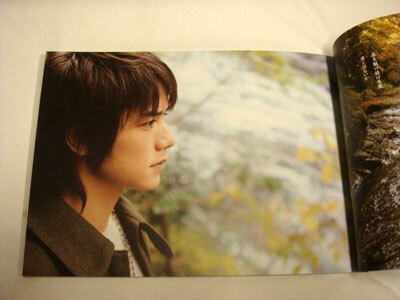 Except this year’s calendar is from April 2010 to March 2011 (and the pictures are so much nicer!! 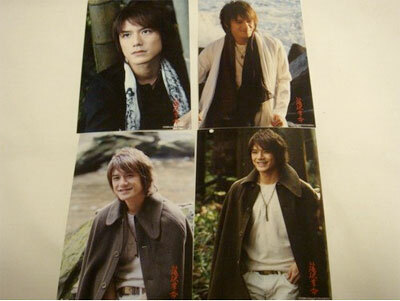 I’m glad that we get to have another Takki calendar again!). Generally, the flow is rather similar to last year’s. This year, the role of Yuki-hime is played by Aoki Nanako. 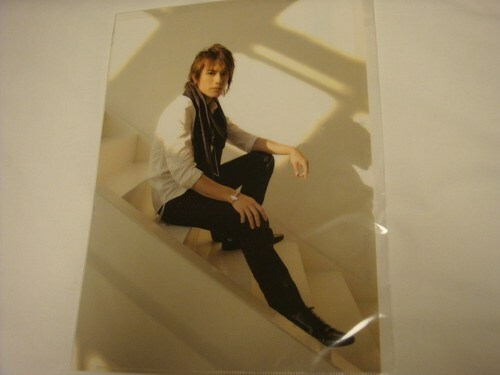 Fans said that Takki was as *kirakira* and kakkoi as he normally is, but noticed that he seemed even manlier than he was last year. There is a new song and a new dance… no one knows what it’s called yet. But someone said that it did remind them of Takki’s “Circle” performance from the Jr days. In the Save the Princess! scene, Hideaki came running from behind the 1F audience seats, on the runway between the #23 and #24 seats. He ran towards the stage, stopped briefly next to Row C and jumped on stage. No changes were made to the bungee jump except that there were no more backflips. Maybe because Takki once said that his head hurt after the flips? People are still confused by the storyline, but this year, they took a little bit of time to actually explain the conflict between Hideaki’s crew and Darth Vader Nikki’s crew lol. Mori-san’s voice was used as the female voiceover for the letter-reading scene. As always, there were fans who stayed behind and waited for Takki’s car after the show. There was a lady staff who came and made the first two rows of fans sit on the ground, while the third row was allowed to stand. 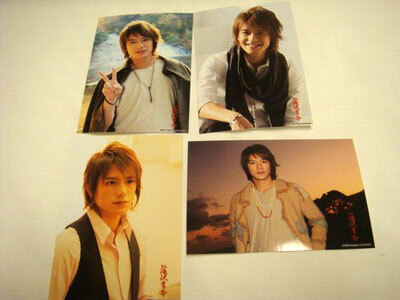 When Takki came out, he was wearing a leather jacket, black cap, and black glasses. He smiled and waved to the fans before getting in the car. There were noticeable changes made to the opening. The taiko drums and the yukiyoe designs shown on the bg screens made it seem more “Japanesque.” Many people said that at the beginning, they thought they were actually watching Enbujou. When the curtains were lifted, Hideaki appeared in his Chinese mask-changing costume and on a lift in the middle of the stage (very Enbujou-ppoi). But unlike previous performances, this time the mask-changing was done backwards… Usually, he would come out with a mask on and peel them off before revealing his face, but this time, he appeared without a mask on and magically made masks appear over his face. In the Miracle World underwater scene, Nikki-san made neta about his name like “Takozawa-san” (tako meaning octopus) and “Danwashitsu Takizawawa” (the name of one of the Denpajou corners). Similar to last year, Hideaki and two other Jrs jumped through the water display – this time, it was Hideaki, ABC-Z’s Hasshi and Kis-my-ft’s Tama-chan. Unlike last year, the last battle scene was done in the rain (again, very Enbujou-ppoi). But Hideaki was SOAKED before the free fall, which made fans worry that he might slip on his way up the free fall platform, not to mention the fact that he also stands on the edge of the platform before he actually jumps. Thank you very much for the great report. I wish I could go to the show! 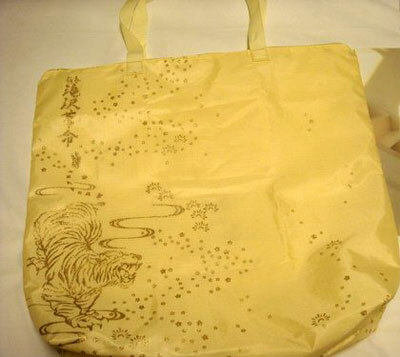 I’d love to get a shopping bag. Any idea how to get it? Thanks Bon and Mich. This is super! A wonderful detailed description of the show. I liked looking at the goods. 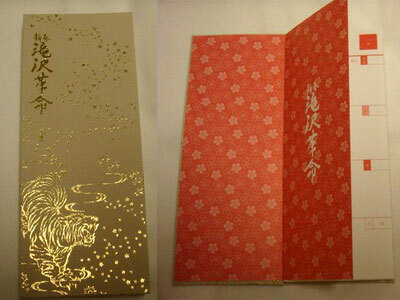 I think they are lovely this year, I like that gold design. I have never heard of Aoki Nanako (probably a theater performer) but she looks cute. Thank you for such a detailed report. 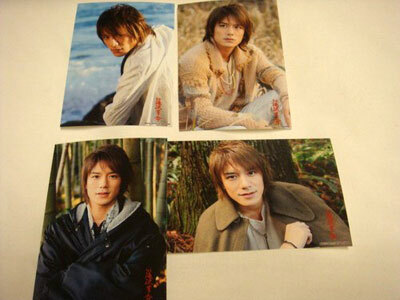 I laughed at the kamikami part….he is truly a kamikami prince. Thanks you so much Bon & Mich!! Your informations, pictures and deatails are excellent! Bon and Mich, thank you so much for the translations and pics of the goods! I look forward to more personal stories from the show! mich, what cds and dvds can be bought at the venue? 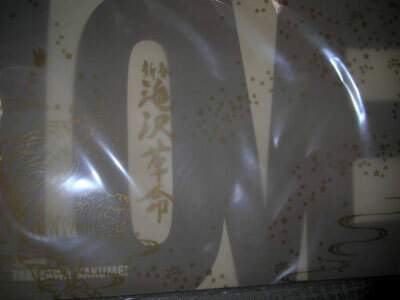 gee, as how i see the photos of the goods, it’s good to have 2 copies of each item like the bag, the mirror, diary and clearfile. money money money. 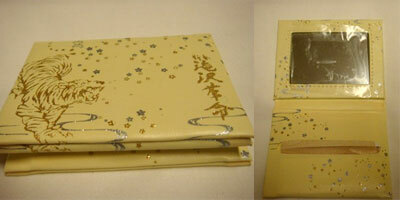 katya~ i’m not sure what cds & dvds… gomen.